Surprised no mention of Charbay Tequila Blanco – a fantastic combination of modern American artisanal methods with Mexican traditions that produces a clean, spicy spirit absolutely true to its ingredients. Let alone the fantastic work that Ron Cooper under the Del Maguey label has been doing for mezcal – a spirit group relegated for a long time to the worm-in-a-bottle rotgut marketed at frat kids. Cool, thanks for the tip, Dave. Terrific piece, Lauren: thanks! I’ve been dumping on Patron for a while: nice to see pros backing up my amateur’s opinion. Also pleased that El Tesoro and Lunazul, two of my standbys, get a nod, too. The state in which Chinaco is produced is Tamaulipas. Tequila can be produced from agave grown anywhere in Jalisco, and in selected parts of Tamaulipas, Guanajuato, Michoacán and Nayarit. El Tesoro, produced in Arandas is definitely a highland (Los Altos) Tequila. It’s Pueblo Viejo, an excellent (and value-priced) brand produced by San Matias (sadly, difficult to find in the Northeast). 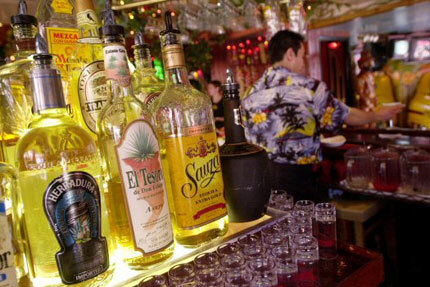 Other highly-regarded Tequilas are Fortaleza (known as Los Abuelos in Mexico), Arrette (especially their Blanco Suave), Casa Noble, Centinela, Reserva de los Gonzales, and Jose Cuervo’s Reserva de la Familia. Not sure where Mr Ward get’s his information regarding Casa Herradura. All of the Casa Heradura brands (Herradura, el Jimador and Antiguo) are produced under the traditional production methods including cooking estate grown agaves in clay ovens, utilizing natural fermentaton, and stainless steel pot still distillation. Herradura does not utilize autoclaves to microwave its agave pinas. Herradura ages all of its tequilas in new American oak barrels and does not add caramel to any of its aged tequilas. All brands are 100% natural. Dave, thanks for your corrections and suggestions! Orfilio, thanks for weighing in. After 20 years of drinking Cuervo and not knowing any better, I made my first trip to Mexico around 1995, where my business associate there bought me a 3oz El Tesoro de Don Felipe with a sangrita chaser. We were at an outdoor restaurant in Cuernavaca, sitting amongst a group of wandering peacocks : my orbit was completely changed. She explained to me about “mixto” and about real agave tequila, and I never looked back. A personal fave of mine is Cazadores, which for years I could only get in Mexico and Texas/New Mex/AZ, but has been available here for a few years now. Great smoky agave flavor. I never liked Patron, always found it much too bland tasting. No wonder it’s become a status symbol to the suburban set, where flavorlessness tends to win out. Just the kind of info I need, with bar tequila choices on the rise. Gracias! This was very helpful: for example, I had no idea that Herradura had been dumbed down by Brown Forman. And I’m glad to see that Partida, Milagro and El Tesoro made the list, those three I love. Thanks Lauren! This is the article I’d been hoping you’d write since tequila is the spirit that I probably know the least about. This is a fantastic primer for neophytes like myself, so thanks. On the topic of tequila bottles, I can’t speak to the quality of this product but the gaudy designer bottle is enough to make me seriously question its maker’s judgement and taste. Give me a modest, conventional bottle any day as long as the hooch is good. I agree with Br. Cleve – Cazadores all the way. I was turned on to it by an article a couple of years ago in the Globe, where they asked a bunch of local bartenders for their margarita mixing secrets and their favorite brand of tequila. The brand most mentioned was Cazadores and I haven’t looked back. Another tip I picked up from that article was to add agave syrup when making margaritas. Too bad it’s only 9:30am – now I’m in the mood! Jonathan, if I remember that “margarita mixing secret” article accurately, the mixing secrets left much to be desired — but the tequila recommendation is appreciated. Love the article, thanks for the recommended tequilas. When recently traveling through Mexico, my friends introduced me to artisanal Mezcal and it changed my perspective on the entire subject of what a good Tequila should be. Apparently these artisanal Mezcals are what Tequila used to taste like before their mass production the past few decades when they dropped the roasting process and opted for the steaming (or microwaving process as you suggest) of the pinas. Besides being sipped straight up as they should be tried, having substituted Mezcal in place of tequila in cocktails blew my mind as their rich, smoky, meaty personalities brought good lower end depth to the flavor profiles of the drinks. You should also seek out Sotol, another type of Mezcal from the Chihuahua region. My comments are based on my eyes and my palate. I have seen the diffuser at Herradura and I have tasted a significant change in their quality. I never said they used autoclaves. They do still have their clay ovens and I’m not sure exactly how they split up the diffuser/oven usage but they willingly admit to using it for reason of “efficiency”. The use of diffusers is not “traditional” to say the least and anyone who wants to try and convince me that the Antigua produced today for the States is produced in the same (other than proof) way as the Antigua produced in Mexico years ago is simply lying to themselves. Braisingcain, thanks for the shout-out to good mezcal. That’ll be the subject of a whole ‘nother post. Phil, thanks for detailing your evaluation of latter-day Herradura. great advice — any suggestions for what bottle to choose when stuck in the suburban liquor store and faced with more conventional choices? is there at least one bottle in the average store worth buying? RJ, if you can’t find any of the tequilas listed in the post or in the comments, and you’re primarily planning on mixing cocktails as opposed to sipping straight, I guess I’d just look for 100% blue agave tequilas that are reasonably priced. For sipping, you may have to get more creative… perhaps a fellow suburbanite expert will chime in, especially if you don’t mind revealing roughly where you’re located. BTW I strongly advocate for more tequila spots that have creditable sangrita as a sipping partner with the good stuff. Having been schooled on such by good barkeeps in Mexico a while back, I’ve been spoiled re a proper completo for lively and fresh sangrita to back my sips. I would judge a good tequila vendor as much by the accompanying sangrita as by the tequila on offer. Very glad to have an informed update on tequila! Out here on the left coast we’re getting El Espolon; for just a couple dollars more, a nice alternative to Luna Azul. David, you lucky dogs on the west coast have many more options than we do, I hear. Cheers. Thanks for the tips Lauren. Love your site! This post is making me miss some of my favorite tequila hang outs. Never mastered the art of drinking it straight yet… but I’ve seen some pros down in Mexico. You should definitely try some mezcals as braisingcain mentioned.